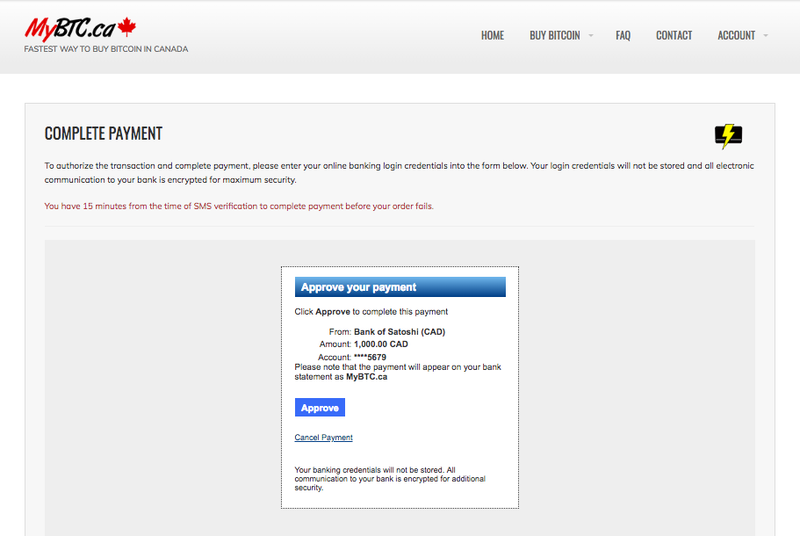 You will be pleased to know that MyBTC.ca has added a new Instant Debit payment method that helps customers who bank with CIBC, Scotia & Simplii Financial buy Bitcoin in seconds on https://mybtc.ca. 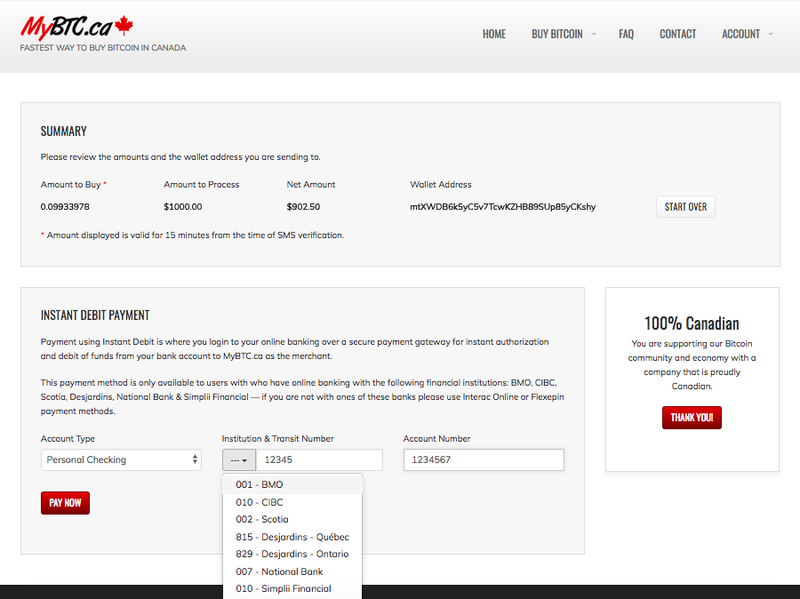 Payment using Instant Debit is performed by logging into your online banking over a secure payment gateway for instant authorization and debit of funds from your bank account to MyBTC.ca as the merchant. How can I buy Bitcoin today? Step 5. Select your account type, institution, and enter your 5 digit transit number, account number (usually 7 digits) and proceed to pay by logging into your online banking through a secure payment gateway. 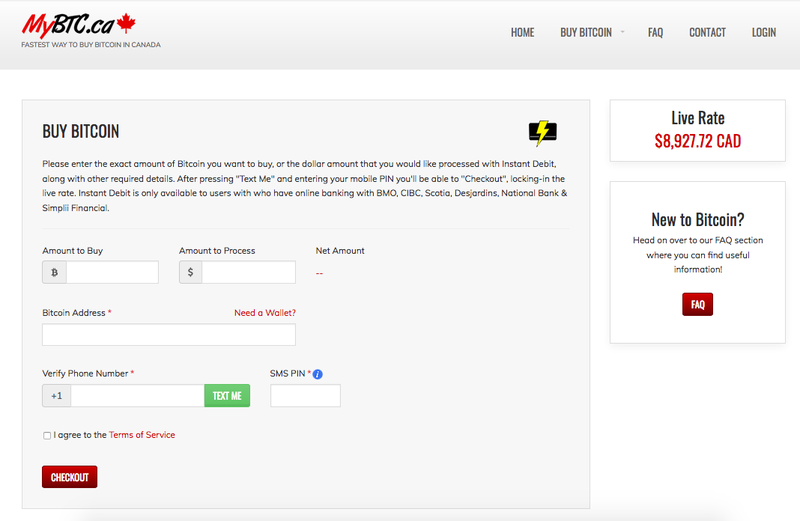 If you do not have an account with CIBC, Scotia, Desjardins, Simplii Financial or National Bank, the next best solution is to buy Bitcoin using Interac e-Transfer or Flexepin vouchers.